That's very interesting--bread & gravestones. Also interesting, where they're moving to is right near (next to?) 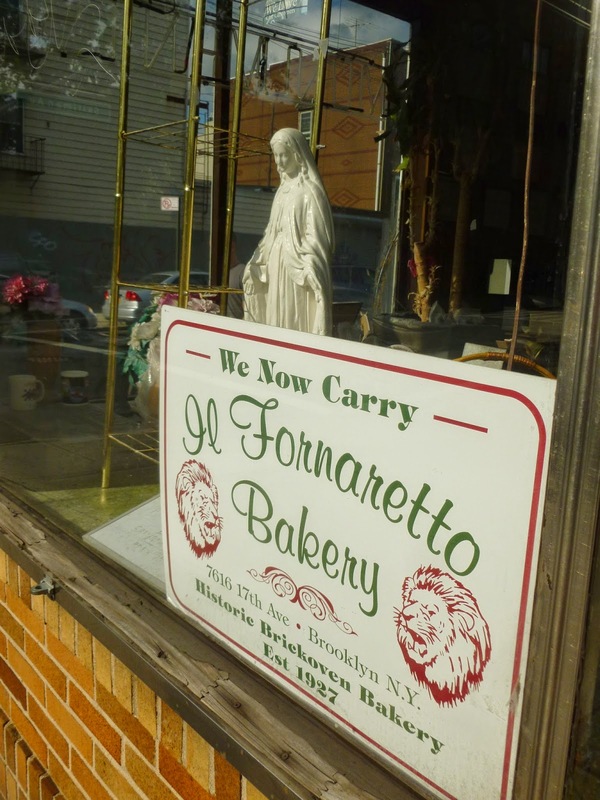 the Il Fornaretto Bakery (in Bensonhurst) where they get the bread from. 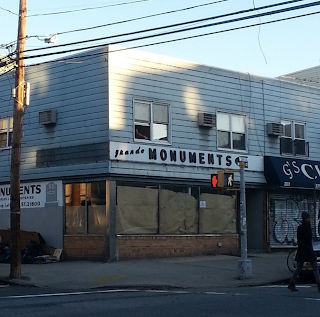 update: passed by new location yesterday--it's not next door, but maybe a block and a half down from the bakery. Also, signage is almost identical (I think the new storefront is not as wide as the old one). Was the bread baked - or cremated?